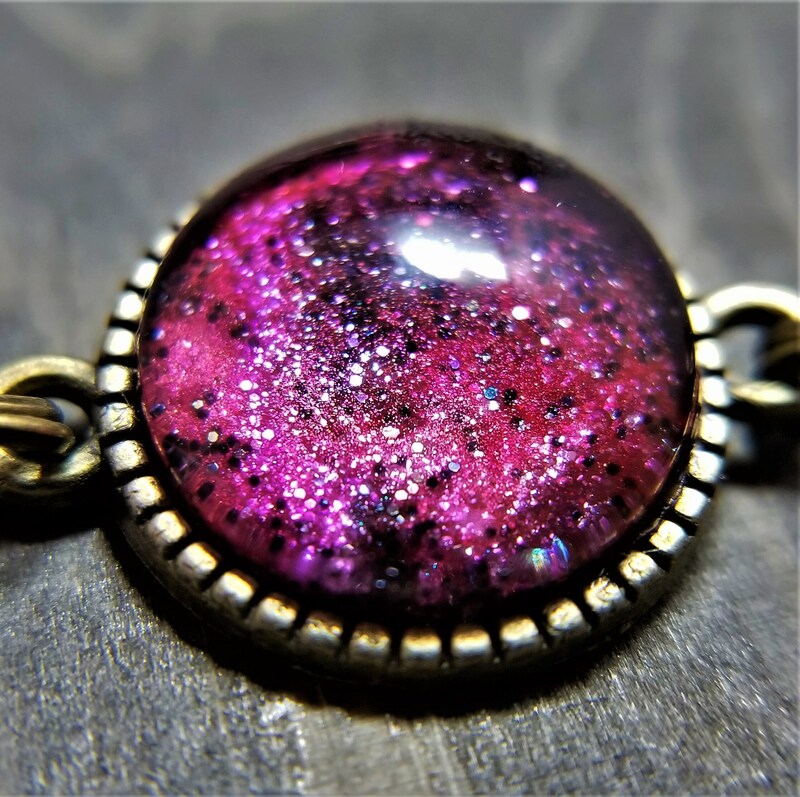 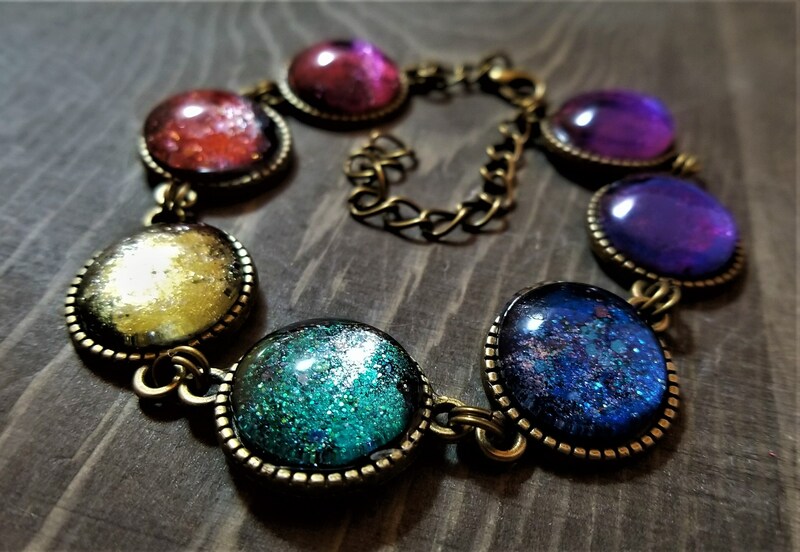 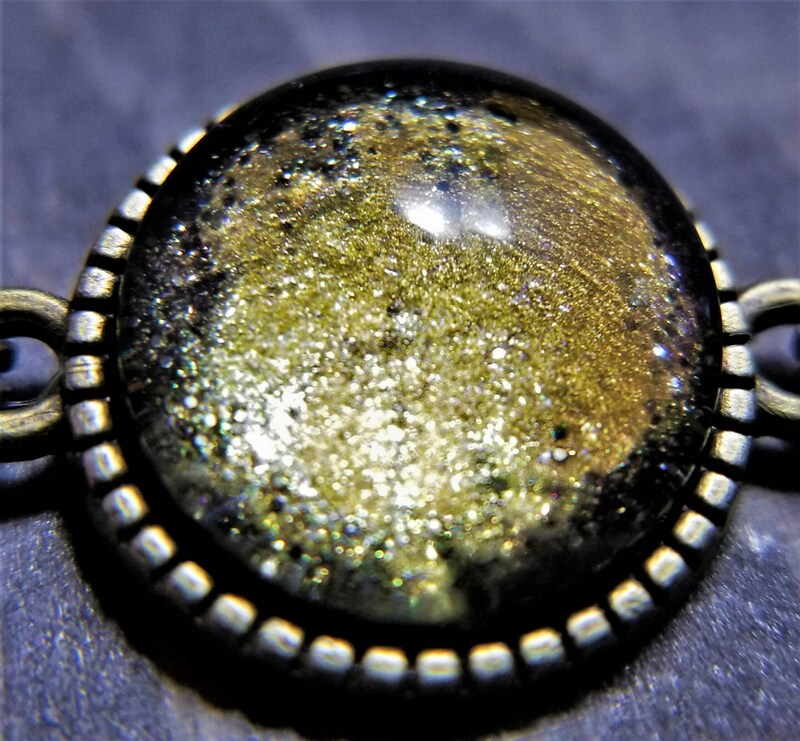 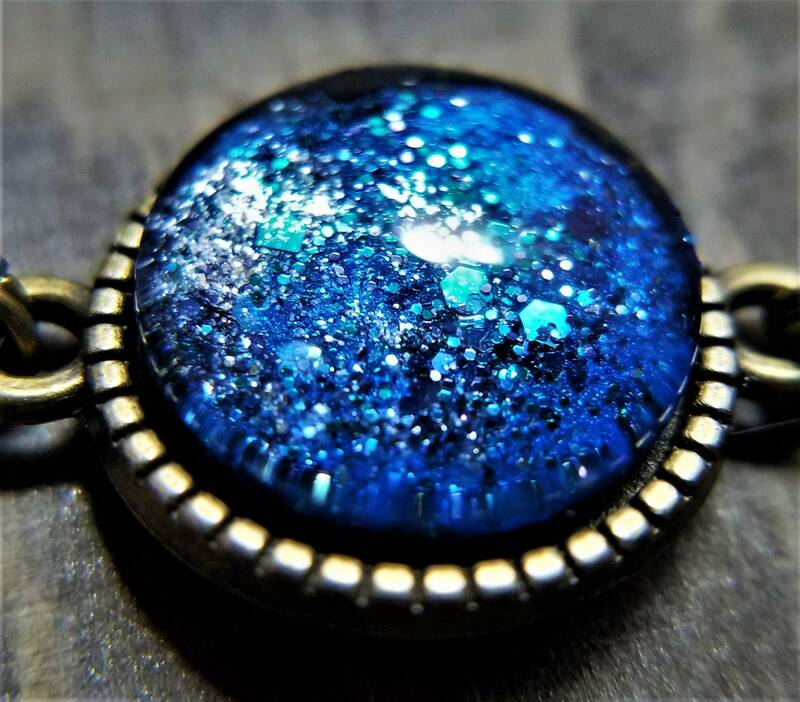 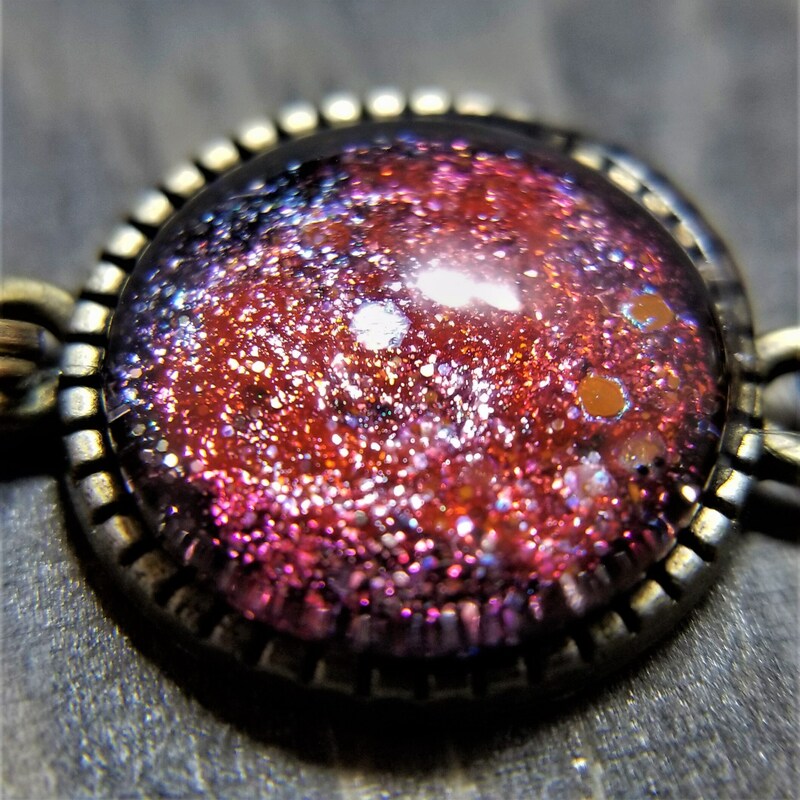 This delicate antique bronze bracelet features hand-painted glass cabochons in the color of a beautiful rainbow, each color its own galaxy of stardust and starlight. 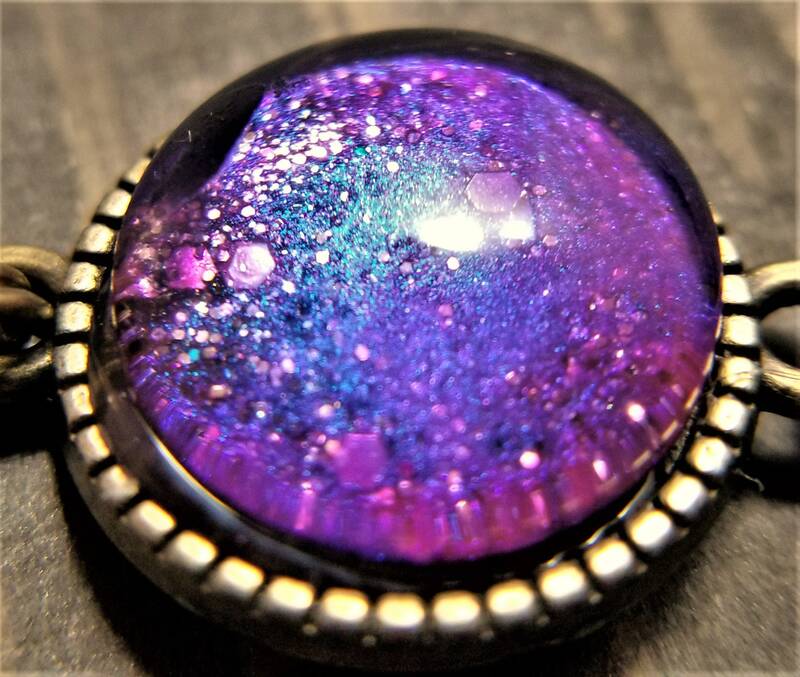 These are hand-painted, which means when this version is gone, it's gone! 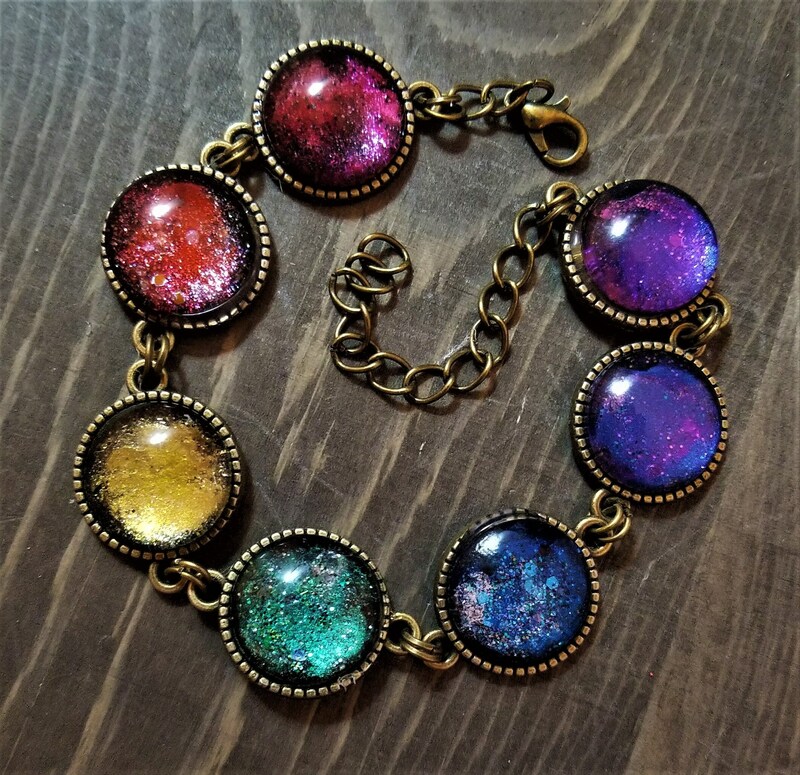 About sizing & fitting: This bracelet closes with a clasp and a 2 inch chain. 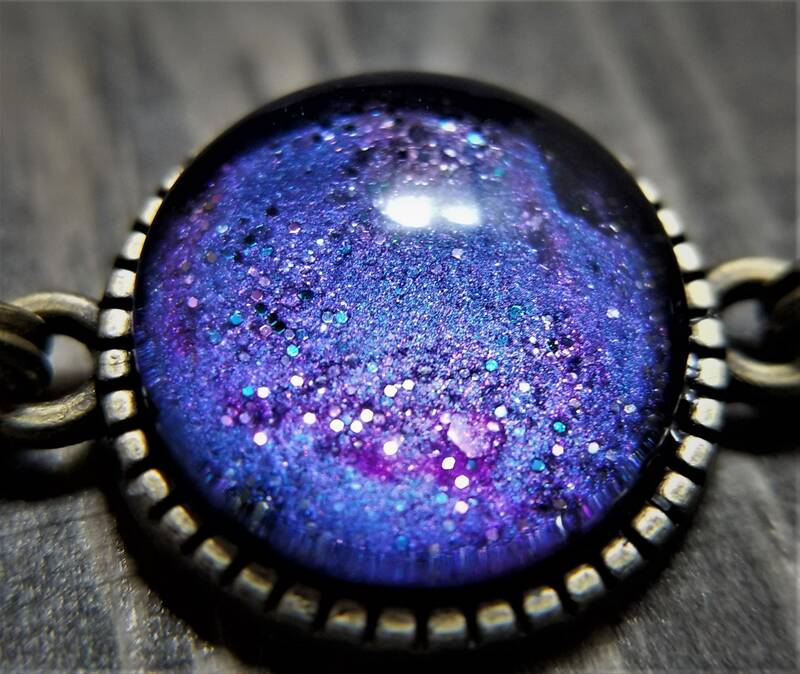 Best for wrists 6" to 7.5"
NEW OPTION: You also have the option to upgrade the bracelet to a 20" necklace. 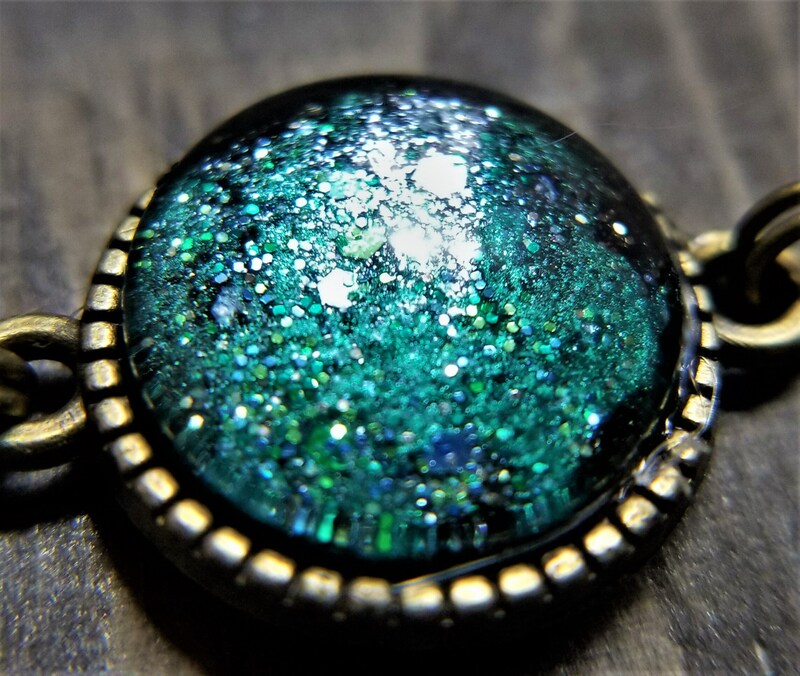 NOTE: Each glass cabochon is hand painted and will contain some minor variations from the example in the photograph--the pattern will be different but the basic colors will be the same.